Indy 200Fc Airbox with internal cone filter with extension and spun 152 to 75mm exit ram pipe to samco 75mm hose and Honda throttle body. 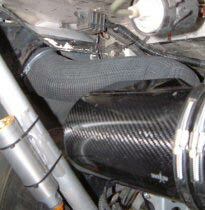 All bottom fed from LH side duct by 100mm hose and 100mm full radius alloy ram pipe into the airbox. 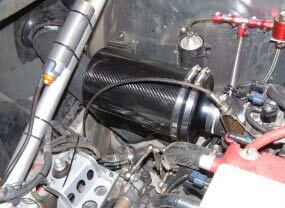 As used by Chris Randall in the Lotus on Track series.